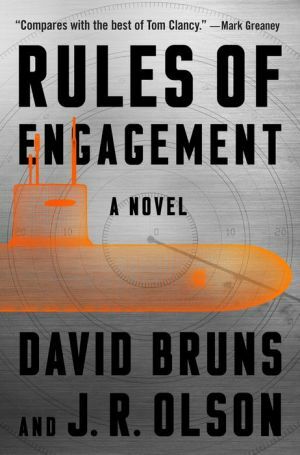 A terrorist breach of the computer systems of the three most powerful navies is about to set them on a collision course for World War III. Rafiq Roshed is one of the most wanted men in the world. A terrorist with a virulent grudge against the West, he’s disappeared into North Korea where he quietly launches cyber sneak attacks in service of Kim Jong-un. But now he’s about to unleash his virtual masterpiece―a computer virus that, once inserted into the command systems of a military, not only takes over, but also learns the art of war. First penetrating the Chinese, he has their war machine launch a series of attacks on the U.S. Pacific forces. Don Riley, head of U.S. Cyber Command, discovers that not only have the Chinese lost control of their military, but the same virus has infected the American network. It’s only a matter of time before the U.S. loses control of its own military. His secret weapon in this war is a trio of supremely talented midshipmen from the U.S. Naval Academy, who uncover the infiltration, and are working to track down the elusive terrorist. But time is running out. China and Japan have lost control of their military and the U.S. is in danger of doing the same. The weapons are hot and the result is an ever-larger real-world conflict where casualties continue to mount. The only remaining hope is to find and stop the attack at its source―before time runs out.